YouTube, the largest video-sharing Website, has started to run full-length TV shows from CBS Corp's (CBS.N: Quote, Profile, Research, Stock Buzz) archive, in its latest step to boost advertising revenue by adding professional programming. 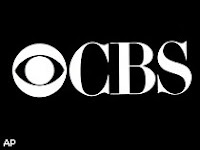 A mix of archive CBS shows, including "Star Trek," "Young and the Restless" and "Beverly Hills 90210," will now be available in full-length episodes of 20 minutes to 48 minutes. The shows will have a full-length badge to distinguish them from shorter clips, and will be available in a new 'theater' mode to improve the viewing experience, YouTube said. Until now, YouTube videos were predominantly short clips of 10 minutes or less. The company has been experimenting with full-length shows for some months with Time Warner Inc's (TWX.N: Quote, Profile, Research, Stock Buzz) HBO and CBS's Showtime cable networks. The new partnership will put YouTube in more direct competition with Hulu, the online video site owned by News Corp (NWSa.N: Quote, Profile, Research, Stock Buzz) and General Electric's (GE.N: Quote, Profile, Research, Stock Buzz) NBC Universal.